Product: Elka Copper Oak UV Brushed and Oiled 20mm Engineered Wood Flooring is a rustic dark oak floor with an oiled finish. 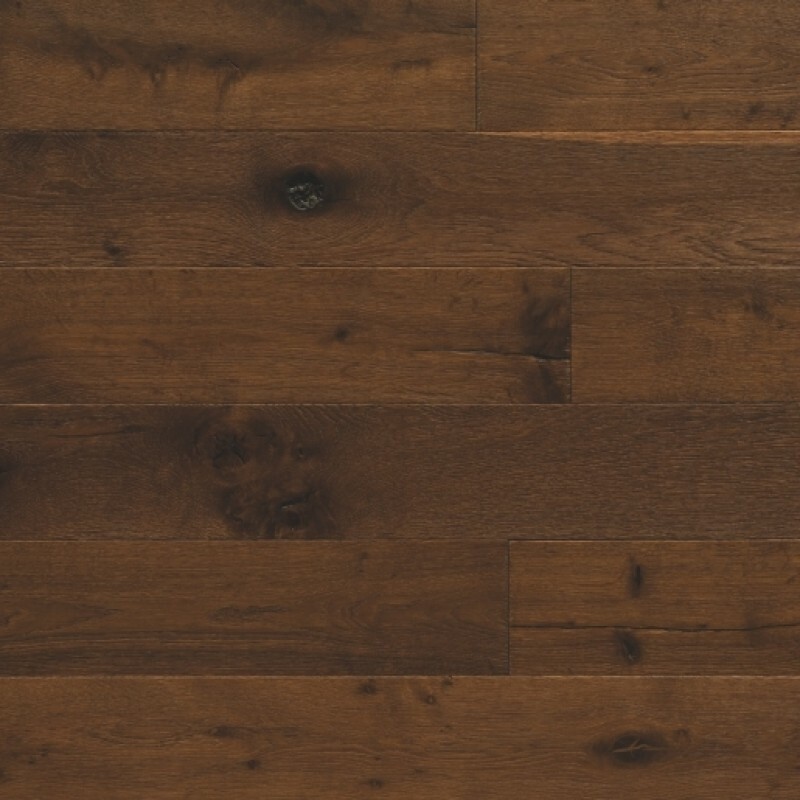 The floor features knots and the natural grain texture. The boards have a 4mm thick wear layer and tongue and groove installation, the floor can be fixed to joists as a structural floor.